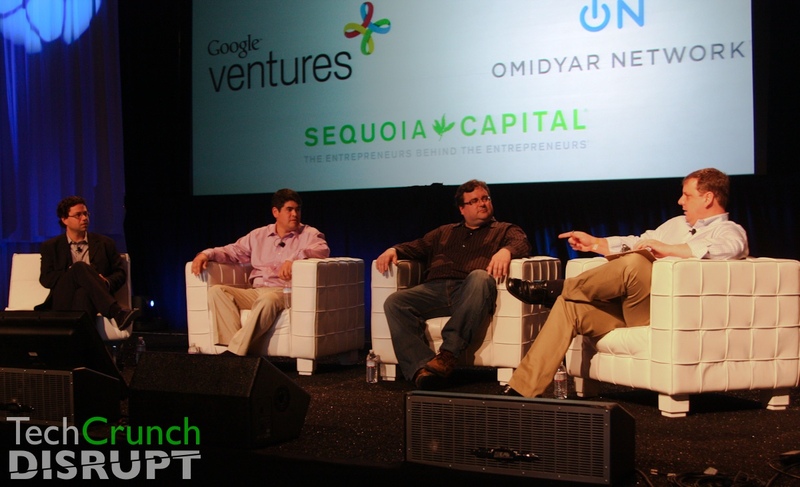 LinkedIn co-founder Reid Hoffman is undoubtedly one of the Valley’s most prolific angel investors. Hoffman has made angel investments in Digg, One King’s Lane, Facebook, Flickr, Last.fm, Ning, Six Apart and Zynga. Last November, Hoffman joined VC firm Greylock as a partner, making all his future angel and seed investments through the VC fund. Today at TechCrunch Disrupt, Greylock Partners and Hoffman have announced a $20 million fund solely for seed and angel investments. Hoffman will be managing partner of the fund, which is called the Greylock Discovery Fund and is part of the VC firm’s 13th fund raised last fall, totaling $575 million. Hoffman and his team will make investments anywhere from $25,000 to $500,000 in startups in the technology space. Any Greylock partner can make investments out of the fund, and the investments don’t need to go through the entire partnership approval process. We are told the funding will be mainly put towards investments that don’t result in a board seat at the company. Hoffman has a great track record of angel investing, making big bets on Zynga, Facebook and more, and Greylock is essentially giving him the opportunity to do what he does best (besides, of course, founding companies like LinkedIn and PayPal). As super angels (like Hoffman) are now challenging venture capital firms like Greylock, as startups take angel funding, launch without much investment, and don’t reach out to VCs until late in the game when startup valuations are higher and returns are lower. Because of this pressure, VC firms are starting to respond with their own early stage funds, which is what Greylock is doing with Hoffman. Some venture firms like Andreessen Horowitz make both seed investments as well as larger infusions in startups. MA: How did you miss Twitter? DS: We feel happy about out bets, but feel great for Twitter. ES: Here’s an example of a a company that didn’t know how big it would be. DS: That’s a great point; people have said that about LinkedIn, Facebook, Pandora. ES: Let’s go through some of those. DS: We spent a o lot of time talking about how to be intelligently contrarian over what we should invest in. Pandora is a great example of this, but now it’s doing great. re: going public-it depends on whether it’s the right time for the company to go public. RH: You have to think about whether it’s a world class founder, and if you win, is the market place big. When you make early-stage bets, that’s what you are looking at. MA: What are you looking at now? RH: I recently invested in Shopkick, when you get deep into shopping experience, Mobile is going to be big. I feel strongly that they will be successful. I think the consumerfication of the enterprise is very interesting. ES: When you look at the companies you are investing in, are they tackling hard problems? RH: It’s very difficult to build a service that reaches massive amounts of people. MA: Can we talk about Cuil? What went wrong? DS: Can’t say, at the ends of the day we invest in a lot of companies; some do well. You take risks. MA: Let’s talk about Digg. Which way are they going to go? DS: I don’t think Digg is happy with how the last launch went off, but they are moving forward. Now can rapidly innovate, even if it’s small changes. You are going to see more and more of that. Matt Williams, who they brought on as CEO, is going to be great for the company. RH: If you are in motion as a company, this is a good thing. DS: Everyone hits these trouble points, but it’s how you power through them. ES: Can you talk about the growth of LinkedIn? What were the inflection points? RH: In the first year, it was how do we get people to believe in us. How do we make enough money to break even? There is always a serious challenge. Right now, we are focusing on how we provide and convey the business intelligence necessary. DS: All along the way, pick great partners that will be there through endless battle. ES: Can you talk about Facebook and LinkedIn? RH: I believe in different social networks for different parts of your life. What does a connection mean? That’s a differentiating point. Facebook is about the social factor, Zynga games, sharing photos and more. MA: The idea that people want social networks for different things doesn’t make that much sense. How is LinkedIn managing to stay alive as more use Facebook for resumes etc. RH: We are growing each month.